When producing a superhero film, moviemakers must make several decisions. Some superhero movies retain the spirit of the film’s source material, while others flip the script, deciding to abstain from utilizing past storylines in favor of creating something fresh and original. 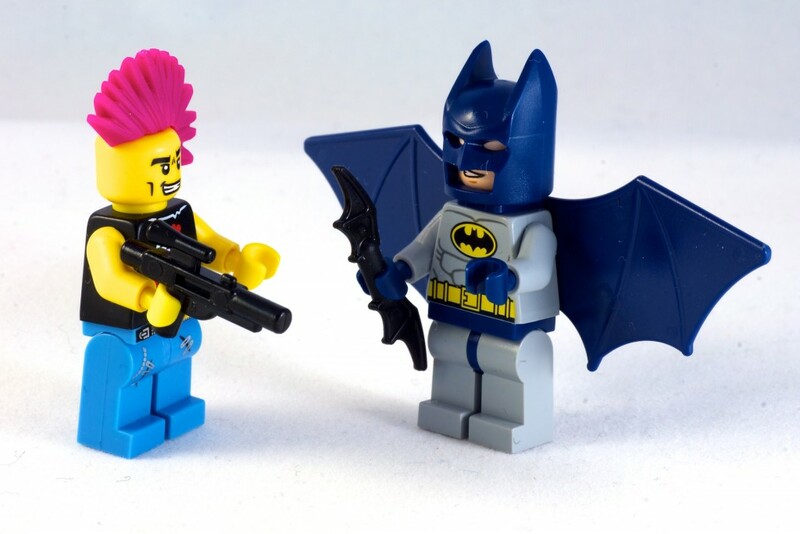 As film adaptations of comic book characters and their stories continue to remain at an unprecedented high level of popularity – next week will see the release of the latest such adaptation, “The LEGO Batman Movie” – many filmgoers and comic book fans have developed strong feelings regarding their favorite characters’ leaps from the colored pages to the big screen. Some people think the source material should remain the main focus, believing ideas put forth into superhero movies should stay in the realm of the comic book’s established world. Others believe that an adaptation into film allows for, or necessitates, a complete overhaul of the characters. Comic book characters, specifically superheroes, are beloved characters that have been around for decades. They often stand as the personifications of ideals told in their stories. Fans of a series and even occasional readers have come to see these characters as symbols, and these are the aspects of comic book heroes that shall remain unchanged. By thinking of comic book characters as real people, the lines become clearer. As a human being, no matter the changes, trials and tribulations, their true self remains the same. This should be the same for the characters. With this in mind, an easy example to use in this case would be director Sam Raimi’s “Spider-Man” trilogy. I sat down with sophomore Miles Ben-Egypt who, like many, believes Raimi’s series was not a great representation of the character. “The movies were really slapstick and corny. I didn’t like the way they did everything,” Ben-Egypt said, going on to say that comics and their film adaptations are at their best when they stay true to themselves in order to deliver a universal message. Ben-Egypt, who has been a fan of comic books since he was about four or five years old, is not alone in his complaints regarding the series. Many also find fault in Raimi’s trilogy. The big issue many had with the “Spider-Man” trilogy was the characterization of Spider-Man and his civilian alter ego Peter Parker. In the comics, Parker is a wisecracking scientific genius who, after being given extraordinary powers, chooses to fight crime. Tobey Maguire, despite delivering good performances throughout all three films, portrays a Peter Parker that does not necessarily fit that bill. His intellect in the movies was never really explored and his jokes seemed to always fall short. What Spider-Man fans did receive, however, was an overly emotional and very awkward representation of the character. In 2016, a very excellent representation of a comic book character was delivered to moviegoers in the movie “Deadpool.” On its release, the movie received plenty of praise and acclaim for a good reason. Where the “Spider-Man” trilogy, “Fantastic Four” movies and other comic book franchises went left, “Deadpool” went right. Ryan Reynolds, who performed as Deadpool on screen, detailed his experience as the character in an interview with GQ. He first portrayed the comic book anti-hero in 2009’s “X-Men Origins: Wolverine.” He knew that film’s portrayal of Deadpool would receive backlash from the fans and told GQ he voiced his opinion on set. “There are more Deadpool fans out there than you realize,” Reynolds told the director of “Origins” when he refused to incorporate his suggestions for the character into the movie. “They’re not gonna be happy with this,” he recalled in his GQ interview. The completion of the Deadpool movie in 2016, however, saw its character stick to his comic book origins. His fourth wall breaking one-liners remained intact. By sticking to the character’s original characterization, the film’s story does not take itself too seriously. The movie knows it is a comic book movie, and that makes it all the more enjoyable. The movie delivers a twist on the character’s original story, which ended up being a hit with fans because the character remains the same at the core. Throughout the slew of comic movies which are slated to come out over the next decade, it will be interesting to see whether they follow the formula for success. The recent resurgence of DC Comics characters in films has seen quality characterization of beloved heroes and villains in both “Batman v Superman: Dawn of Justice” and “Suicide Squad.” However, these movies ultimately missed their mark in terms of plot or storyline and directorial vision. With these key elements in place, it is only matter of time before the equation is solved and DC synthesizes an answer to the ever-popular Marvel Cinematic Universe. The movies produced via the partnership between Disney and Marvel Studios are good examples of an understanding of this character concept. As the stories in these movies are adapted, twisted and tweaked for the modern day, the characters at their core remain the same. Superheroes are characters that are loved by both comic book fans and those who simply like a good story. Their motives and means for rationale should remain the same in order to continue to output their message.